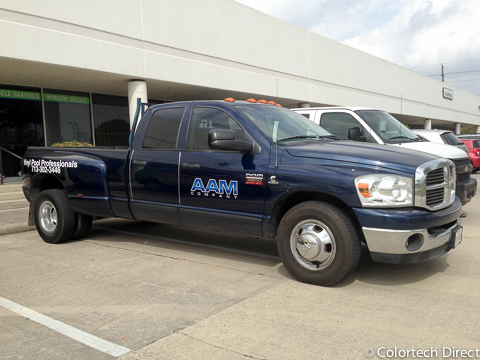 Custom lettering and logos are a cost effective and quick way to brand your vehicle, trailer or entire fleet. 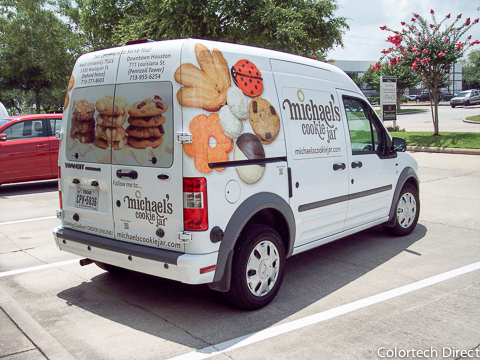 Our design team can work with you to get the most impact for your budget. 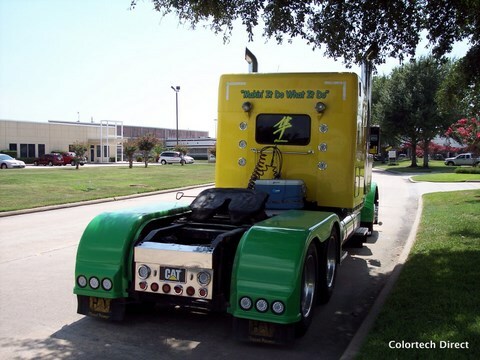 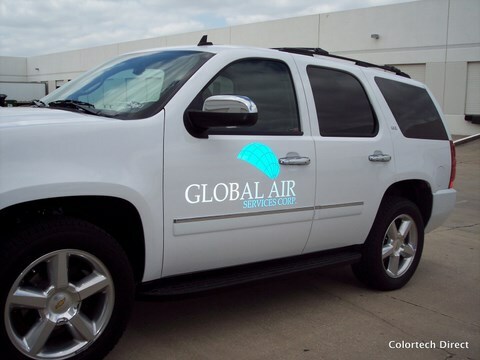 Vehicle graphics from Colortech Direct help you gain a competitive edge in the busy marketplace. 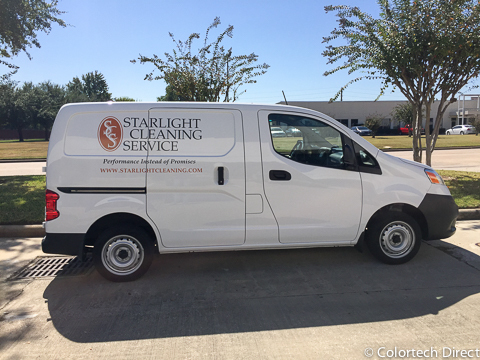 Oversized vinyl logo and lettering on delivery van. 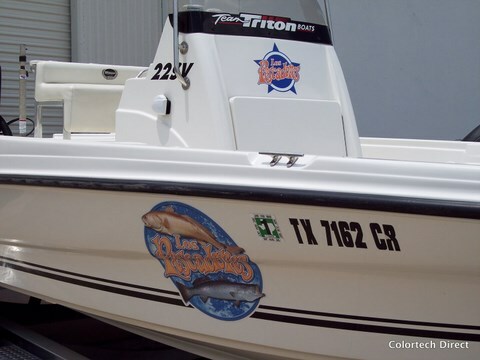 Large photographic images with logos and lettering. 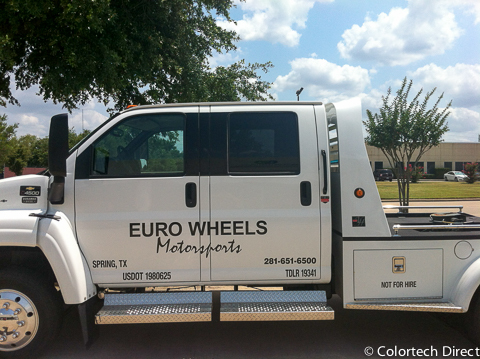 Large logos and lettering for a trailer on all 3 sides. 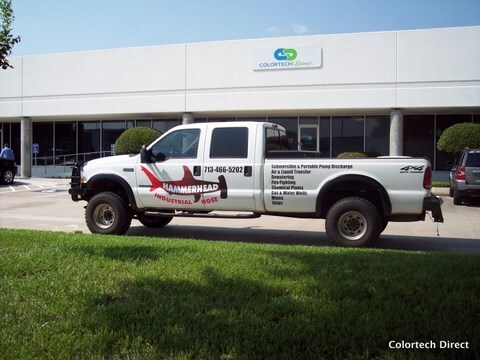 Custom vinyl logo for truck doors. 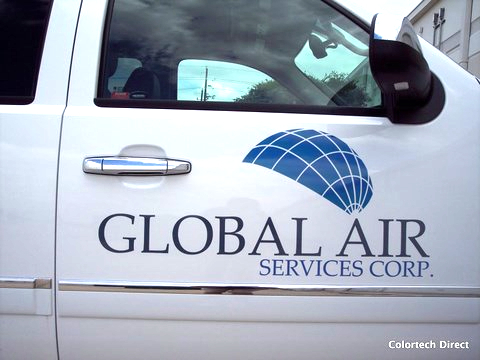 Custom vinyl logo for truck doors shown in reflective vinyl. 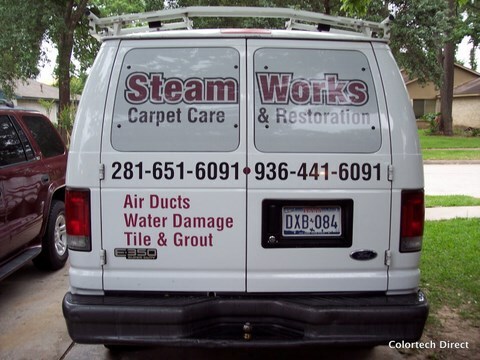 Large vinyl lettering on both sides with vinyl on back windows. 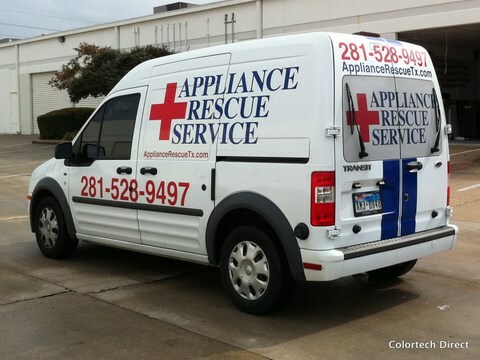 Large custom print and cut logo with vinyl lettering. 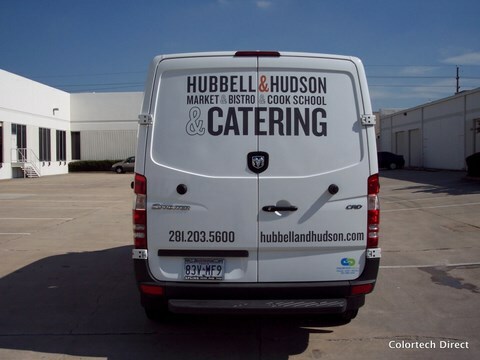 Logo and lettering in black vinyl. 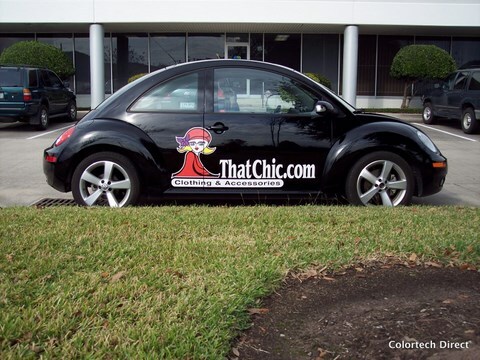 Large vinyl logo on 2 sides and back lift door. 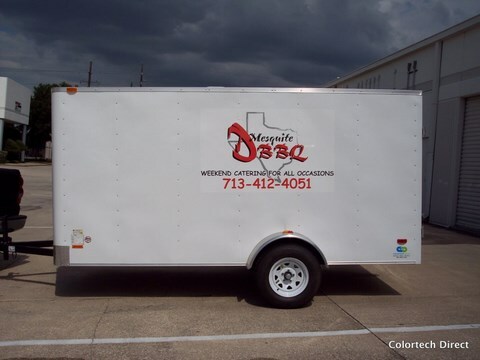 Custom vinyl logo to match trailer. 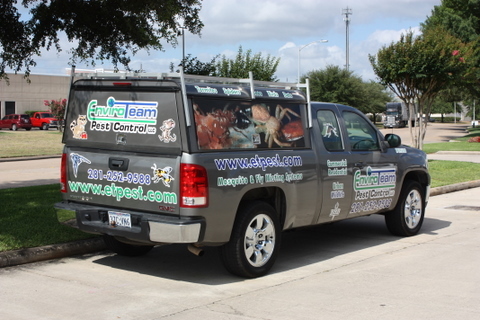 Large graphic images on truck camper with logo and lettering on all sides. 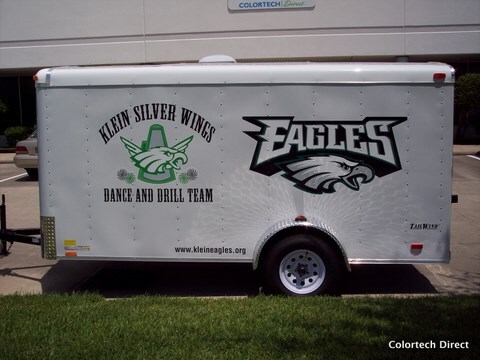 Truck camper and tailgate with logo and lettering. 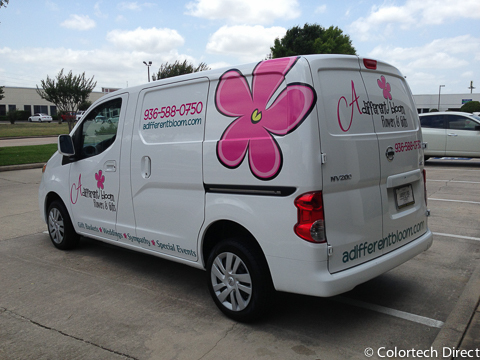 Vinyl lettering on van doors to complement logo placed on windows. 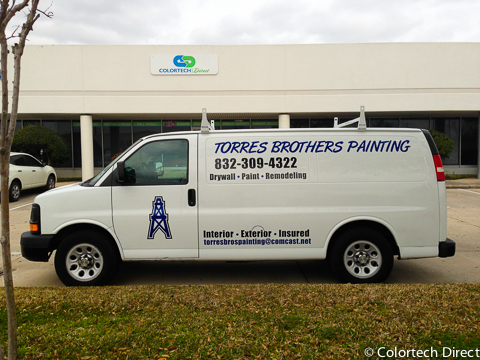 White vinyl lettering on sides and back on van to complement window coverage. 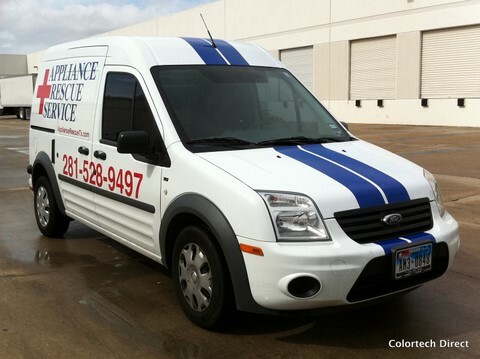 Custom vinyl stripes to go with logo and lettering. 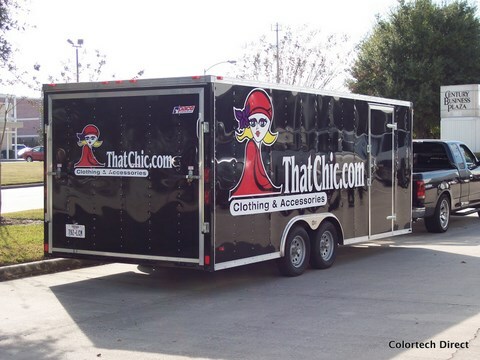 Large vinyl logo for trailer. 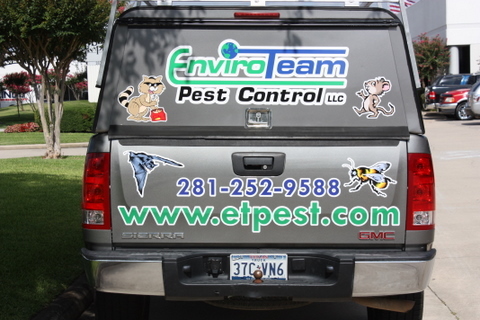 Vinyl lettering on truck doors and bed. 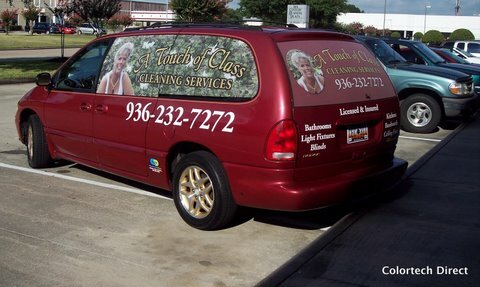 Vinyl logo applied to both van sides and rear doors.